STRONGER FORMULA! Now with an improved, easy to consume tangy taste! 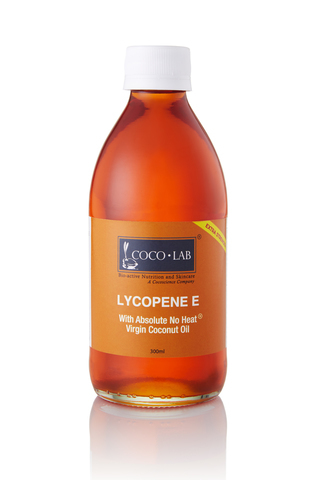 COCOLAB’S breakthrough formulation of Absolute-No-Heat Virgin Coconut Oil (VCO) with Vitamin E Tocotrienols and natural Lycopene combines the multiple benefits of healing superfoods to deliver health in a convenient capsule. Together they pack a potent defence against chronic diseases and conditions that ravage the health of so many people today. Lycopene is a phytochemical and a naturally occurring super anti-oxidant found in red fruits such as dragon fruit, water melon, red cabbage and tomatoes. It has been found to decrease the risk of certain cancers in men and women and has been acclaimed for its immensely powerful health benefits for the male and female sexual organs. 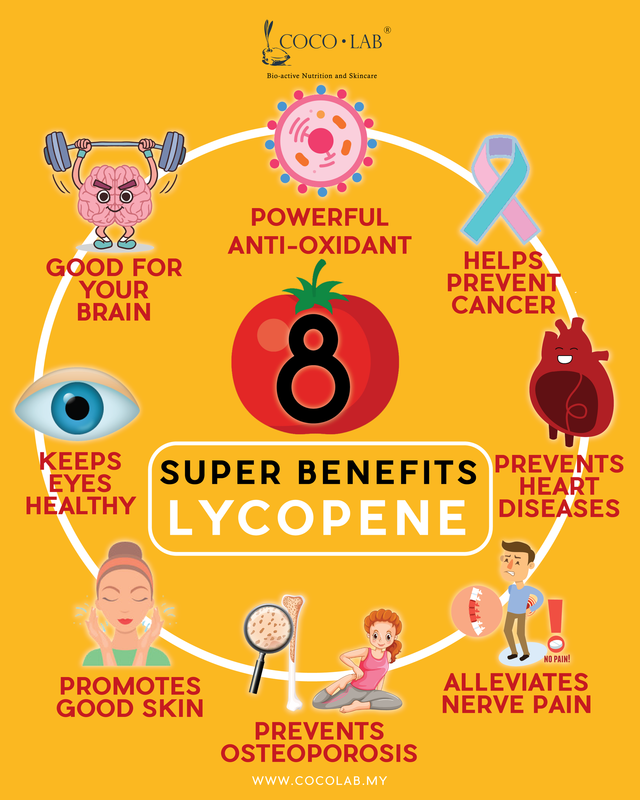 Lycopene together with Tocotrienol protects the body against free radicals that can damage the body’s cells, damaging proteins, DNA and cell membranes. Daily supplementation is therefore critical in maintaining optimal health and to defend against diseases and cancers. This formulation contains all the properties of Tocotrienol together with Lycopene and is recommended as a dietary supplement to help improve overall health including the heart, brain and liver health, strengthen the immune system, balance cholesterol levels and defend the body against free radical damage. The lycopene content in it plays a special role for the health of male and female reproductive systems, to improve fertility, reduce risk of breast, cervical, ovarian cancers in women and prostate cancer in men. Recent studies have also shown a protective role against osteoporosis. Suitable for all ages and pregnant/breastfeeding mothers. The Lycopene E Liquid harnesses the full benefits of our Absolute No Heat Virgin Coconut Oil for maximum bioavailability. INGREDIENTS: 100% Premium Absolute No Heat Virgin Coconut Oil (ANH-VCO), Natural Full Spectrum Bioactive Plant Tocotrienol/Tocopherol Vitamin E Complex (Vitamin E is listed by the US FDA as GRAS Nutrient/Dietary Supplement), Natural Oil-based Lycopene Complex. 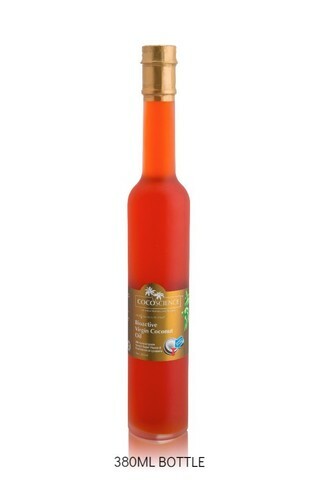 Contains 5mg of "Super Vitamin E Tocotrienol" per ml of VCO + 0.6mg of Natural Lycopene Complex per ml of VCO. *You may find some dark brown sediments. This is completely natural as lycopene is an oleoresin complex. The dark brown color sediment is actually the natural lycopene (crystal). NOTE: Certain packagings are meant for Tropical countries. Where ambient temperature is below 24°C / 75°F (eg. USA, Europe, China, Australia, Korea, Japan) our ANH-VCO will solidify into a butter-like state. Simply put the bottle in a warm water bath to melt it if solidified. Also available in super strength SOFTGEL and 380ml Liquid. The recommended dosage is 2 tablespoons (20ml) daily in the morning. Take it 30 minutes before your meal if you are on a weight loss diet. For those looking for general health maintenance, you may take it anytime (before/after meal). You can also incorporate it in salads as a dressing, juices, oats or baking recipes according to your preference. *EVNol is a registered trademark of ExcelVite Sendirian Berhad and protected by US Patent No: 5,157,132, Palm Oil-derived Vitamin E is classified as GRAS by the US FDA (GRAS Notice No. GRN 000307). Visit www.tocotrienol.org for more information on tocotrienol. **EVPene (derived from tomatoes, solanum lycopersicum) is a trademark of ExcelVite Sendirian Berhad (Safety of Lycopene Oleoresin from Tomatoes approved by European Food Safety Agency). At COCOLAB, we believe in educating our valuable customers. Click on the research articles for more info. How would I know if my vitamins are natural?